Open since 1950, Gravenhurst Chiropractic & Acupuncture Centre is the longest serving chiropractic clinic in Muskoka, serving our community and Bracebridge, Huntsville and Muskoka Lakes. Dr. Michael Mekis and Dr. Kelly McIntosh are the fourth generation chiropractic team at this location. We’re well-known in the area for our reliability and the results we get for our patients! Both graduates of Canadian Memorial Chiropractic College in 2004, Dr. Mike and Dr. Kelly practice in the heart of Muskoka, which National Geographic rated as a top world vacation destination. This beautiful area welcomes 2 million visitors per year. It’s conveniently located just two hours north of Toronto while still offering an incredible getaway from a fast-paced life. 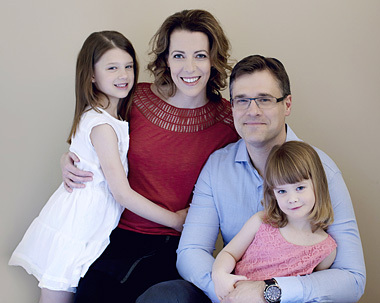 Dr. Kelly summered in Muskoka as a child, cottaging here with her family. Always a favorite place of hers, it was a clear choice of where to begin practicing with her husband, Dr. Mike. We see a range of ages and health conditions, helping people who want to embrace a more health-conscious lifestyle. With a particular focus on pediatrics and pregnancy, Dr. Kelly loves seeing expecting moms and their children. We often collaborate with local midwives, medical doctors and specialists to maximize the benefit you get from our care. Dr. Mike’s patient base ranges from athletes to labourers, with the goal of keeping the people of Muskoka on the move. Our variety of services is selected based on what’s best for you. Experience our multidisciplinary approach by booking your time with us today!